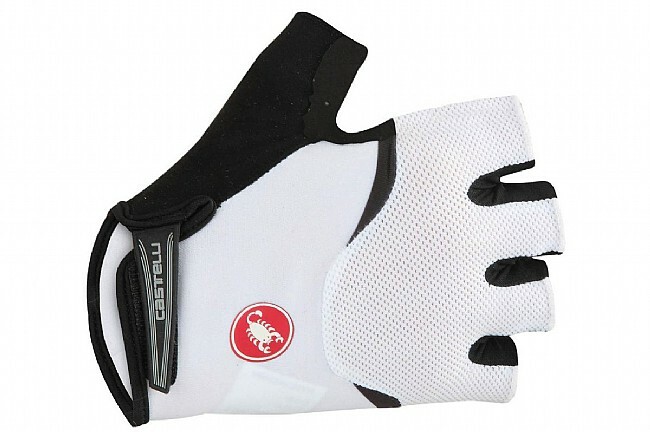 The Castelli Women's Arenberg glove features maximum gel padding for the roughest roads. The AX synthetic suede palm is moisture-wicking and supremely durable, and the gel padding features a silicone coating for optimum grip. The mesh back features a large opening on the lower half of the hand to increase cooling, and a Velcro closure makes for a secure fit.